Google is currently testing at least 3 new possible Google My Business features that we hope they will make widely available soon. They include new developments when it comes to Google reviews, as well as new ways to showcase your business from your Google listing. I will never shy away from calling Google out when I think they’ve made a mistake, especially when it affects small businesses and BizIQ clients. However, Google is a good company, and they provide a lot of great services aimed at helping small businesses. And although Google My Business (GMB) isn’t perfect, it’s an indispensable tool and a powerful part of any local online marketing strategy. Plus, Google is always testing and adding new features to this completely free service. It can be tough for even seasoned marketers to keep up with them. Here are the 3 new features Google is currently testing or slowly rolling out that you need to watch out for and that will help your business and small local businesses everywhere. 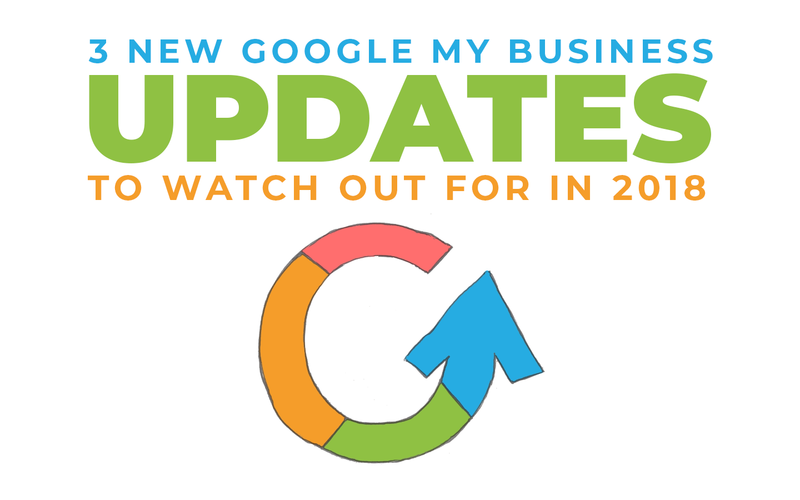 Last Friday, Local Listings Specialist, Cassidee Gregory noticed something interesting in the Google My Business dashboards of several of our clients, Products (Beta). Located in the menu on the left side of the dashboard, below the photos tab, the Products feature would allow businesses to list all the products they provide, including photos. The feature might be easily confused with the Services/Menu feature Google slowly added to Google My Business and it’s not clear if the Products feature would replace it or not. It’s also important to note that the feature is clearly labeled “Beta,” and it only showed up for Cassidee, and not for Local Listings Supervisor, Danni Petersen when she logged onto the client’s GMB dashboard, or for me for any search when I performed a random search on my desktop and my iPhone this morning to see if I could get the products feature to show up for any businesses anywhere. The beta is probably available to a limited number of businesses, and a limited number of Google users as well which could be why only Cassidee could see it. We’ll report on the feature in more detail if and when Google releases the feature. Yesterday, Barry Schwartz reported for Search Engine Land on the discovery that Google has started testing an expansion to the“recently opened” feature. The new feature being tested displays the future opening date of a new business or new location of an existing business. Google then displays the date in orange. Then when the new location is open, the date is replaced by the recently opened feature. It’s not yet clear if Google is auto-creating a business listing for businesses that haven’t opened to the public yet and then populating the opening date from information found online, such as on the business’ website, or if a business can create a new listing for an unopened business. Technically it’s against Google’s own guidelines for a business that isn’t open yet to have a Google My Business listing. Perhaps if the tests go well and Google decides to roll out the new feature to more businesses, they will alter this guideline. Last week, Google Top Contributor, Ben Fisher tweeted that businesses could now respond to their reviews and edit those responses directly on their business’ Google Knowledge Panel instead of having to visit their Google My Business Dashboard. Google has already allowed users who post reviews of businesses to edit their reviews for a long time now, but the ability for business owners to edit their review responses directly from the knowledge panel wasn’t available before now. The fact that you can now respond to your reviews without having to go to the Google My Business dashboard makes it easier than ever to respond to your customer reviews. It’s vital that you respond to all your reviews, both good and bad because it shows potential customers how much you care about the people you do business with and showcases how well you resolved situations when a customer wasn’t happy. Every week or two, someone in the digital marketing community discovers something new that Google is testing, and Google My Business is no exception. While it looks like the ability to edit your Google review responses in the Knowledge Panel could be around for a while, it’s way too soon to tell if Google will test the Products (Beta) feature on a larger number of businesses. It’s also unclear how and if the Future Opening Dates feature will wind up altering the Google guidelines about when a business is eligible for a GMB listing. I’m excited about all the new GMB features and hope they’ll be rolled out everywhere soon. I’m especially excited about the Products Feature getting tested more. But whatever happens, you can be sure that BizIQ will keep you posted. I want to know what you think about all the Google My Business features that Google has introduced. Leave your thoughts in the comments section below and if you have any questions about Google My Business, click on the chat bubble in the bottom right corner to speak to a live marketing specialist, not a robot.